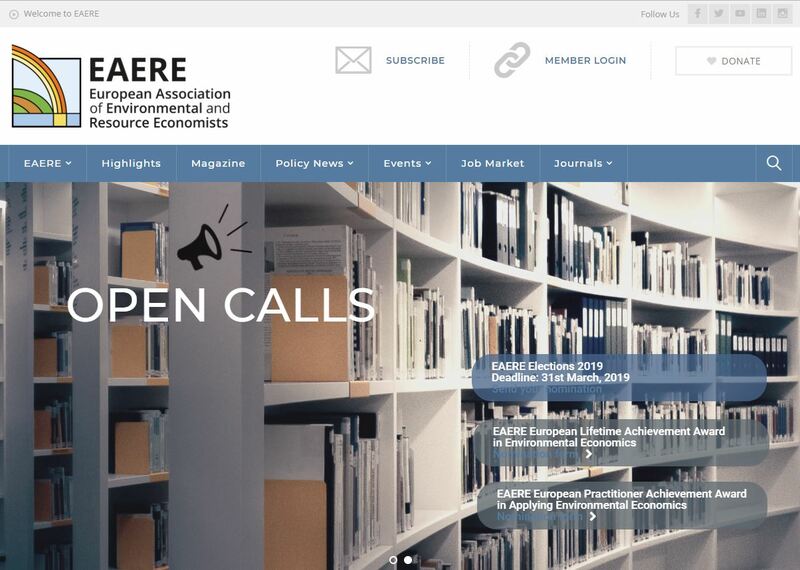 EAERE has refreshed its looks! We have a brand new website & logo! Our new website has 7 different sections and a lot of new content. Members can still easily login to their private areas with the same credentials. Browse through the new pages, check our Social Wall and find all about the next events, policy news and much more! FSR Climate, together with the Policy Outreach Committee of EAERE and in collaboration with the School of Transnational Governance of the European University Institute, organises this session to promote a more integrated dialogue between academia and the policy world, providing advice and support to EU policy makers and institutions in designing policy interventions. 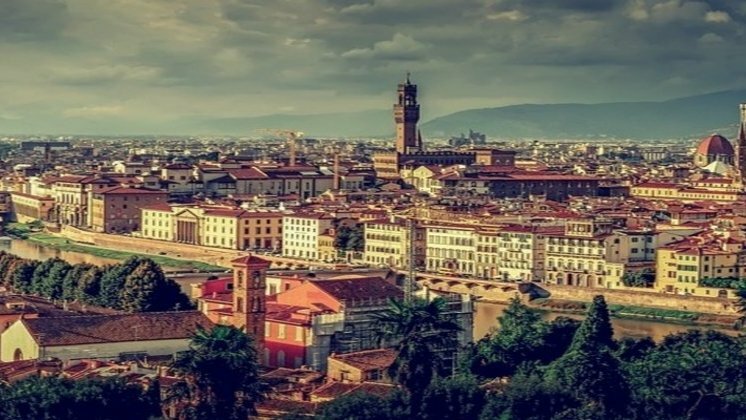 The event intends to continue the policy dialogue carried out by FSR Climate under the LIFE SIDE project (co-funded by the LIFE Programme of the EU) concluded at the end of 2018, which supported European policy makers with the design and implementation of the new EU ETS legislation. 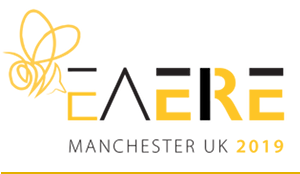 ConferenceThe session organized by the EAERE Policy Outreach Committee intends to discuss how to facilitate and create a more integrated dialogue between academia and policy world. The two contexts have departed from each other over time, becoming increasingly technical and partially separated. To fill the gap between these two realms, there is a need to substantiate quantitatively what policies work and what their relative contribution is. 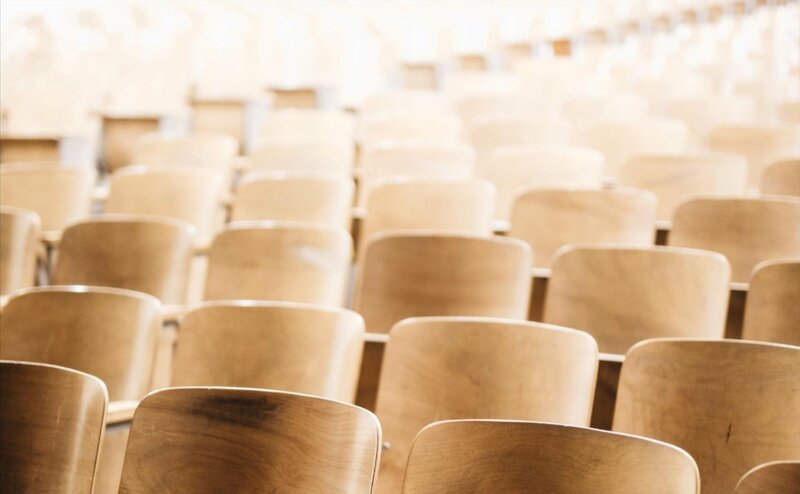 On March 28, the Commission announced 222 new funding grants worth on average €2.5 million each, to help scientists advance their research ideas. The grants, which are awarded by the European Research Council, will allow these top-class scientists to further their research into issues like improving the generation and storage of renewable energy, helping our biological clocks cope with our 24/7 modern lives and exploring the role of women in the fight for social and gender justice in Eastern Europe. EU cities and regions have backed the ” Global Strike for Future ” protests, which gathered hundreds of thousands of young people worldwide on 15 March to demand more urgent measures to tackle global warming. During the (Re)New EUrope Summit in Bucharest, local and regional leaders reiterated their call for the EU to step up its efforts, commit to keeping temperatures warming well below 2°C and commit to delivering a carbon-neutral Europe by 2050. Since August 2018, thousands of students have been taking the streets in more than 30 countries worldwide calling for additional measures to tackle climate change. Global CO2 emissions hit an all-time high in 2018. The Green New Deal continues to generate considerable policy discussion in the United States. Two environmental economists, Joe Aldy of Harvard and Resources for the Future (RFF) and Ed Barbier of Colorado State University, have written articles in the past month that discuss some of the lessons learned from green stimulus efforts of the 2008-9 Great Recession for the Green New Deal today. Aldy’s article can be read and downloaded here, and Barbier’s here. The WMO climate statement includes input from national meteorological and hydrological services, an extensive community of scientific experts, and United Nations agencies. It details climate related risks and impacts on human health and welfare, migration and displacement, food security, the environment and ocean and land-based ecosystems. It also catalogues extreme weather around the world. WMO Statement on the State of the Global Climate in 2018, its 25th anniversary edition, highlights record sea level rise, as well as exceptionally high land and ocean temperatures over the past four years. This global Environment Outlook (2019) calls on decision makers to take immediate action to address pressing environmental issues to achieve the Sustainable Development Goals as well as other Internationally Agreed Environment Goals, such as the Paris Agreement. The Global Environment Outlook (GEO) is a consultative and participatory process to prepare an independent assessment of the state of the environment, the effectiveness of the policy response to address these environmental challenges and the possible pathways to be achieve various internationally agreed environmental goals. The process also builds capacity for conducting integrated environmental assessments and reporting on the state, trends and outlooks of the environment.